Mark your Calendars for Saturday, November 8, 2014! 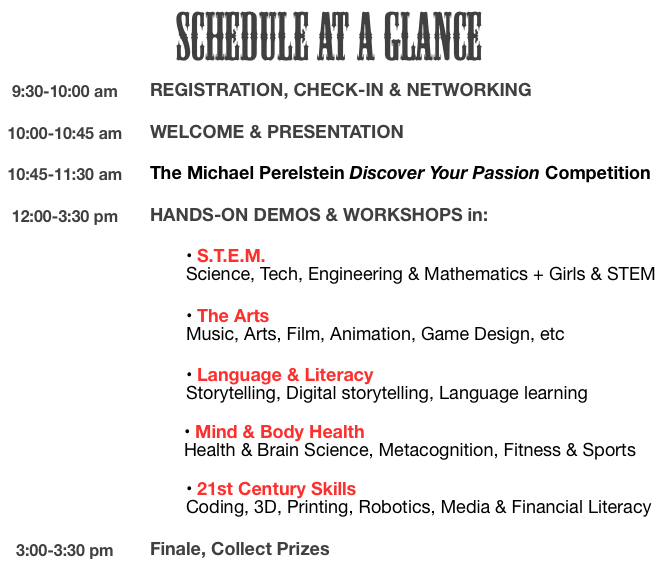 Join Parents of Accelerated Learners, NYC [PALNYC] and New York Family at NEST+m on Saturday, November 8, 2014 for The NYC Ed Tech Family Day: A’Fair– Introducing Families to Ed Tech Learning Tools through Engaging Play. Part carnival, part scavenger hunt, part education fair for parents and their children in kindergarten through 8th grade the Ed Tech Family Day: A’Fair is an engaging half-day event with a focus on introducing Education Technologies to NYC families. This half-day event hosted by NEST+m and geared to 300 families, ed tech and learning specialists, features the best Ed Technologies available to support, differentiate and individualize learning at school and at home. 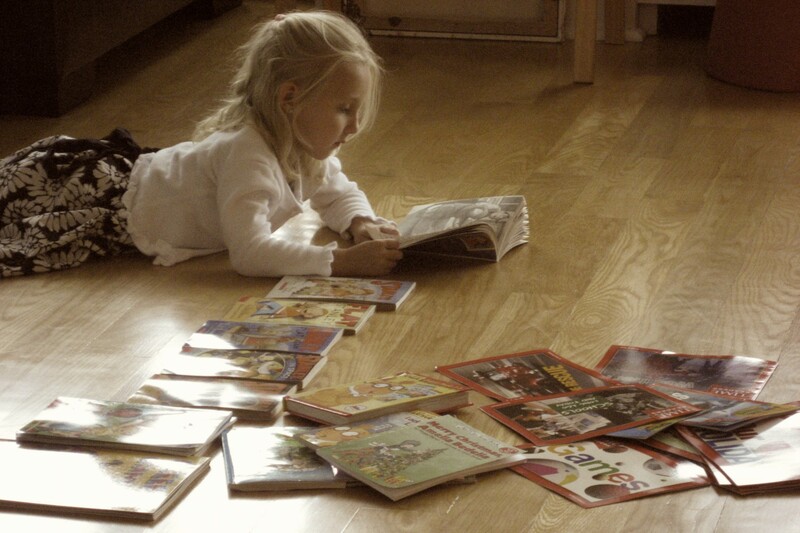 An event scavenger hunt that’s fun for the entire family. Families will enjoy playing Ed Tech Bingo, carnival style games, watching presentations and engaging in interactive Ed Tech demos. Each child will have multiple chances to win a prize. Domain specific stations in the categories of STEM, the Arts, Language & Literacy, Mind & Body Health and 21st Century Skills. These domain specific stations will allow your child an opportunity to explore his or her personal areas of talent, strength or interest. The opportunity to explore the Ed Tech frontier. With a focus on families, The Ed Tech A’Fair allows parents and children in kindergarten through 8th grade to explore new individualized learning tools. In addition to offering an interactive environment for you to discover Education Technologies, you’ll meet like-minded families and peers and see projects from other students that will inspire. So join us on Saturday, November 8 from 10:00 am- 3:30 pm at NEST+m for The NYC Ed Tech Family Day: A’Fair – equal parts education fair, carnival & an educational scavenger hunt to introduce families (K-8th) to Education Technology learning tools through engaging hands-on play. 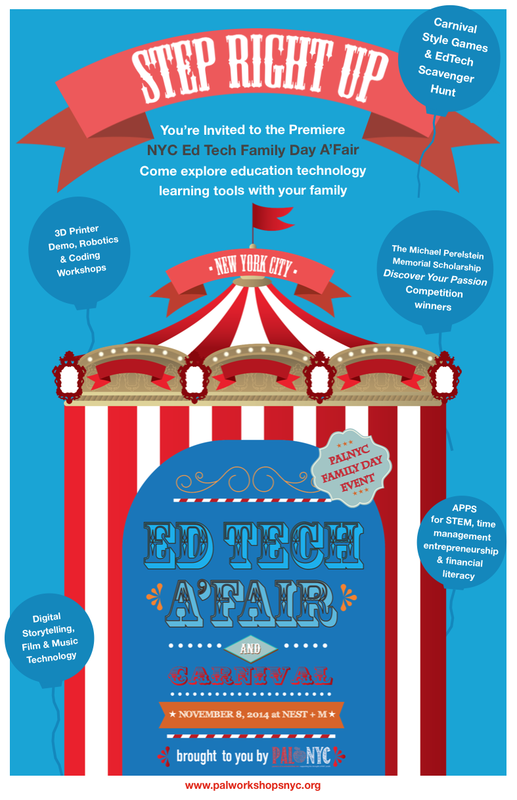 Download the NYC Ed Tech Family Day Flyer and share with others. For Volunteers… how does FREE entrance sound to you? Join us here for more details of how you can help. 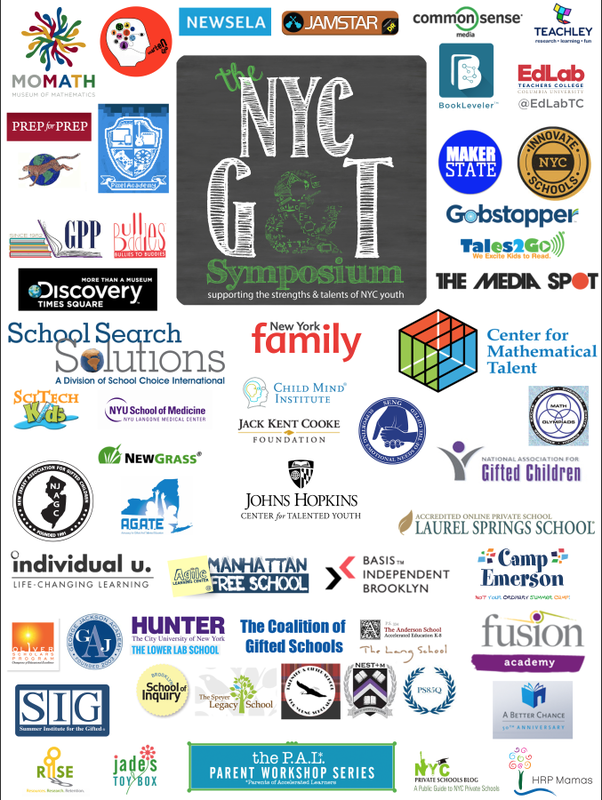 Supporting partners of PALNYC programs have included NAGC, AGATE, NJAGC, Common Sense Media, the Coalition of Gifted Schools, Johns Hopkins Center for Talented Youth, Child Mind Institute, Hunter College Center for Gifted Studies and numerous others. With our impressive list of partners, including media sponsor New York Family, The Ed Tech Family Day A’Fair, will provide a strong professional networking opportunity and vast resource for your company directly to NYC families, local schools, educators and best programs. Interested in Sponsor and Exhibitor opportunities with PALNYC at the NYC Ed Tech Family Day: A’Fair? View our Sponsorship & Exhibitor Prospectus, and apply to sponsor, exhibit or advertise at the event and register for the event here.